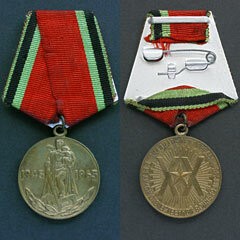 Russian medal for the 20th Anniversary of the Second World War, issued in 1965. USSR, Great Patriotic War. Condition is as per the photo.